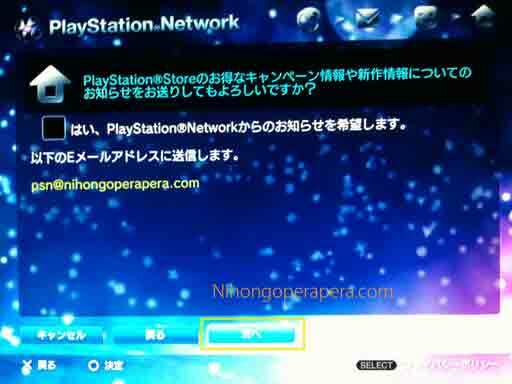 To use the Japanese PSN, you must register a Japanese account. 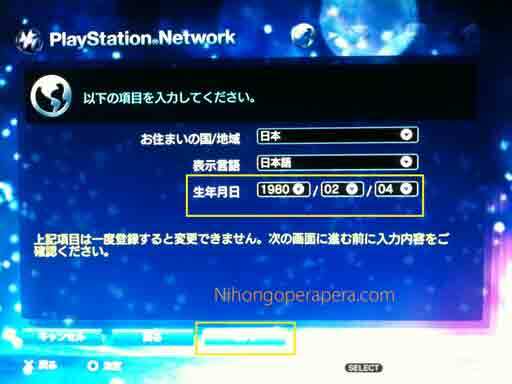 You can register a Japanese account for free using any PS3. Note: The pictures used in this guide are in Japanese because my PS3 is in Japanese. 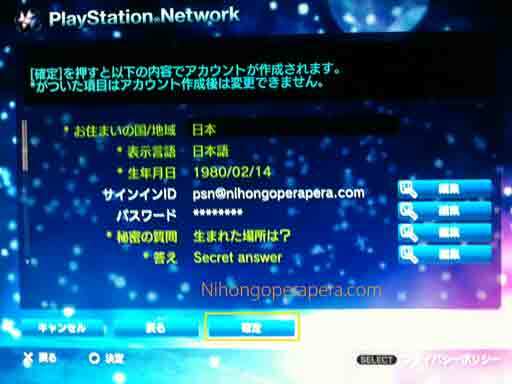 You can register a Japanese account using a PS3 set to any language. 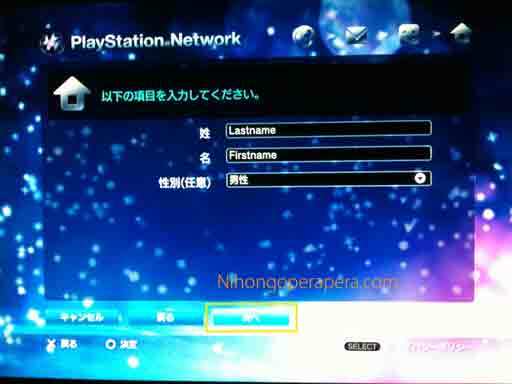 Create a new user account on your PS3. 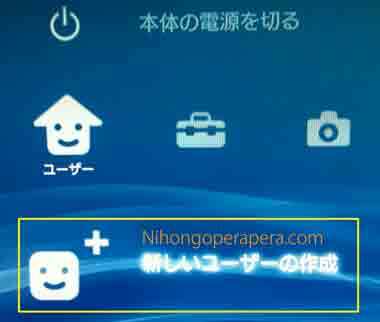 Scroll to the leftmost menu "ユーザー" (Users) and choose "新しいユーザーの作成" (Create New User) from the menu. Enter the username for the new account. 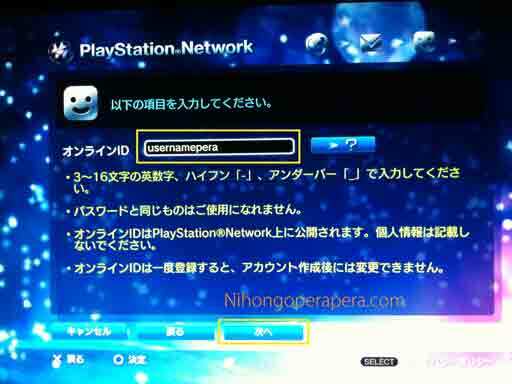 This username will appear on the user menu; it is not the id for the PSN. Adding "Japan" to the name might help you remember that this is a Japanese account. Log in as the new user you created in step two. 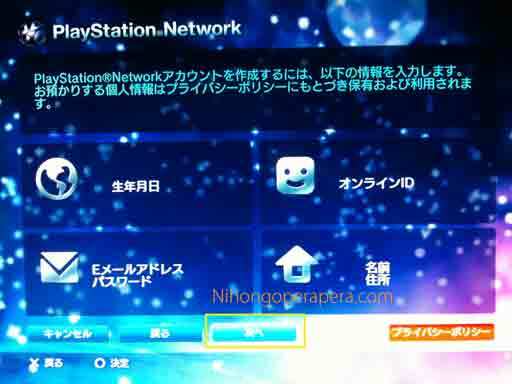 Select "PlayStation Networkにサインアップ" (Sign up for the PlayStation Network) from the "PlayStation Network" menu. Select "新しいアカウントの作成" (Create a New Account). Select "次へ" (Next) on the welcome screen. At the country prompt, select "日本" (Japan). "日本語" (Japanese) is the only language option. Next, enter your birthday (year-month-day) and then select "次へ" (Next). Quick reference: "次へ" (Next), "戻る" (Back), "キャンセル" (Cancel). Accept the store agreement by selecting "同意する" (Accept). Quick reference: "同意する" (Accept), "同意しない" (Refuse). 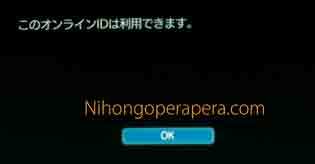 For your サインインID (sign in ID), enter your e-mail address. This cannot be a mobile phone address, and it must not already be registered with another PlayStation Network account. When you enter the address, a window will appear asking you to verify your e-mail. This e-mail asks you to please confirm your e-mail. Just select OK.
Can include letters, numbers, -, and _. Cannot be related to your password. Will be made public, so do not include personal information. Cannot be changed once registered. If your ID meets all the requirements, you will receive this message. Select OK. Enter your 姓 (last name), 名 (first name), and optionally your 性別 (gender). Quick reference: 男性 (male), 女性 (female). Enter a Japanese address. 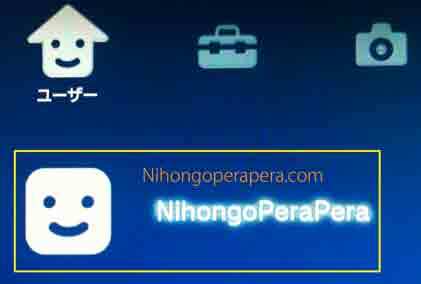 If you don't have a Japanese address, it is possible to use the address of a Japanese hotel or business. The 郵便番号 (postal code) and 都道府県 (prefecture) must match. Currently, if the postal code and prefecture match, Sony will accept your registration. 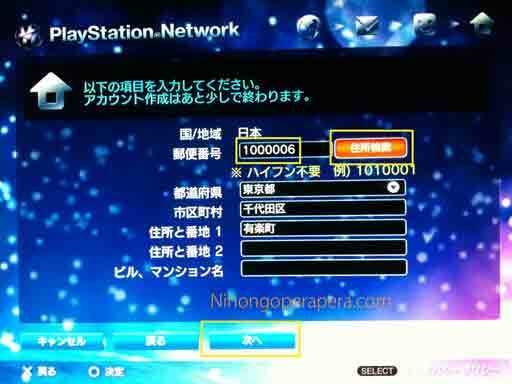 For example, if you enter 1000006 in the 郵便番号 box and then select the orange 住所検索 box (address search), the information will automatically be filled in as shown below. Without doing anything else, clicking "次へ" will allow you to proceed to the next screen. 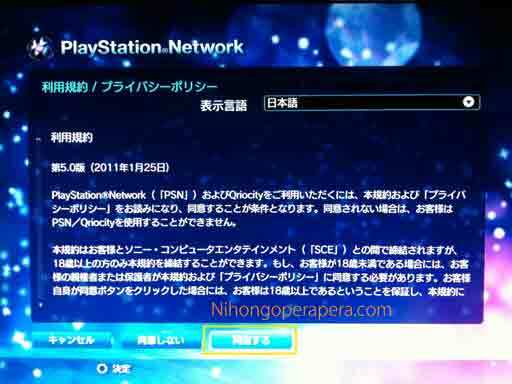 The next screen asks if you would like to receive promotional e-mails from Sony. Leave the box unchecked if you do not wish to receive any e-mails. Finally, you will be asked to confirm your registration. If you need to make changes, select the appropriate 編集 (edit) button. If everything is ok, select 確定 (Confirm). 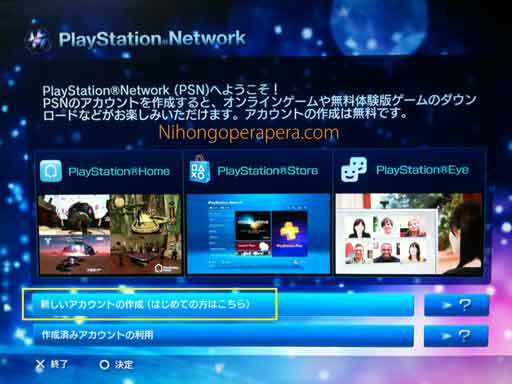 Enjoy shopping on the Japanese PSN Store and playing free demos from Japan! 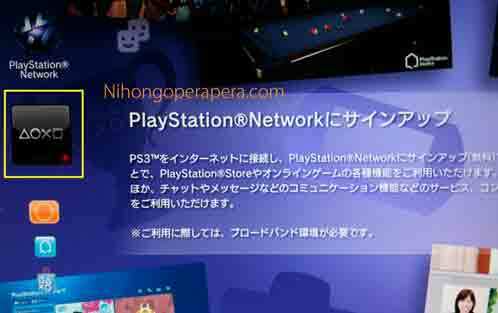 If you need Sony Japan codes, please consider purchasing from NihongoPeraPera!